production, management, organization, dissemination, marketing or providing references services for state government information. In this interactive and animated presentation, we will highlight key Sunshine Law provisions relating to open meetings and records and discuss some best practices relating to both. Established by RSMo 181.100-181.130, the State Publications Access Program requires Missouri state government publications to be stored in a secure electronic repository. The State Publications Access Program is administered by the Reference Service Division of the Missouri State Library and is designed to collect digital copies of select reports by Missouri government departments and agencies. The digital copies are uploaded into a digital repository, Internet Archive, to facilitate public access to government information. 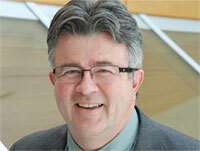 The presenter will cover the Program's history, current practices, practical issues and plans for the future. This session provides an overview of the Missouri State Archives' efforts to make government documents accessible to the public. This endeavor requires close partnerships with state agencies and government document librarians to ensure the accessioning of all current publications as well as filling historical gaps. The State Historical Society of Missouri presentation will discuss the SHSMO digital and print collections, published and unpublished materials created by and related to Missouri state government. The Missouri Electronic Records Archives (ERA) provides an ingest path for born digital state government records. The ERA uses the existing State of Missouri Agency Records Tracking (SMART) System to transfer permanent electronic records and their metadata to the Missouri State Archives using the retention schedules and agency tracking built into the system. This session will also explore lessons learned from initial transfers as well as plans for the future, including expanding capacity to include all state publications, developing a long-term preservation system and creating a public access portal. The transition from print to web-based publishing has affected many industries, yet few have felt the impact as much as those in news publishing. The University of Missouri has designated Media of the Future a strategic priority in recognition of the vital role journalism plays in a democratic society. Based at the Donald W. Reynolds Journalism Institute, the Journalism Digital News Archive program seeks to ensure long-term access to born-digital news media. 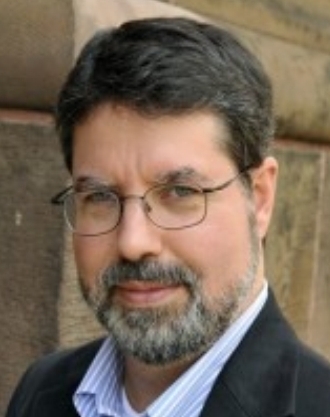 JDNA founder and Digital Curator of Journalism Edward McCain will speak about the challenges common to both news media and government information publishing and share tips from current research that can offset pitfalls associated with digital-only information formats. The National Collection of US Government Publications, from 1789 to the present, is an important information asset for the American people. Yet, this collection is vulnerable to decay, disaster, technical obsolescence, and the rapid dissemination of public information on the world wide web. US GPO Preservation Librarian David Walls, will talk about what GPO is doing to protect the access rights of current and future users of US Government information. The Hathi Trust is the library world's improved version of Google Books. Libraries across the country have digitized their physical collections, including historic Missouri state government publications, and uploaded them to this shared digital library where non-copyrighted works are freely available to view by the general public. Marie Concannon will explain the scope of Missouri state government materials on Hathi Trust and demo a web resource on the MU Library site that helps users easily find reports there. Finally she will explain how state agencies can open their post-1923 annual reports for public view on Hathi Trust if they should so choose. The MoDOT Librarian will give a unique view into how to provide custom library services (including reference, cataloging, report publishing and digital collections) for a state agency. The presenter will cover the background of the Library Services Program (a collaboration between the Missouri State Library and the University of Missouri) and how it serves the needs of its users with a particular focus on digital initiatives. WHERE IN THE WORLD IS THE MISSOURI LEGISLATIVE LIBRARY? This library’s function is to serve the general assembly and their staff with research and information and has been set up by statute, chapter 23, RSMo. It is located on the third floor of the capitol building and in addition to maintaining a collection of state documents and legislative documents, it also collects material on subjects that the general assembly is studying for potential legislation. Laura Kromer is the Government Documents and Reference Librarian for the Reference Services Division of the Missouri State Library within the Secretary of State’s Office. Her primary role is coordinating the State Publications Access Program, which is designed to provide access to state publications for all citizens of Missouri. Laura has worked in state government for the past six years and has a vast knowledge of state agency functions and publications. Laura received her Bachelor’s Degree in Political Science and Masters of Library Science from the University of Missouri. 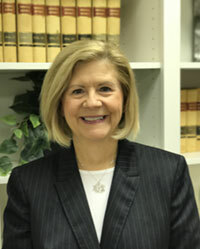 Margaret “Peggy” Landwehr is a Special Counsel for the Division of Legal Services of the Department of Social Services. She handles Sunshine Law inquiries and Rulemaking. 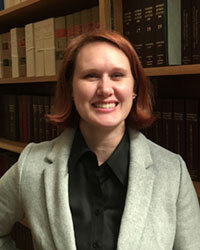 Previously, Peggy was the e-Discovery Coordinator for the Missouri Attorney General’s Office. She has also worked as a Legal Editor at the Missouri Bar, a Hearing Officer for the Personnel Advisory Board, and a Prescreening Attorney at the Samaritan Center’s Legal Care Office. Peggy has presented on various topics including the Sunshine Law, e-Discovery, Social Media and Ethics, and Civility in the Courtroom. Peggy graduated from Colby College in Waterville, Maine, and earned her law degree from St. Louis University School of Law. She is married to John Landwehr, a partner in the law firm of Cook, Vetter, Doerhoff and Landwehr, P.C., and former Mayor of the City of Jefferson. They have two grown children, Becca, an interior architect in Washington, D.C., and David, a CPA, in Denver. A St. Louis native, Lauren Leeman received a master's degree in library and information science from the University of Missouri in 2005. Leeman began her career at the State Historical Society as a student worker that same year and has been a full-time librarian since 2006. She is a die-hard St. Louis Cardinals fan. 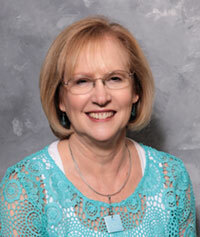 Renée McHenry has been the librarian for the Missouri Department of Transportation for the past five years. Prior to that, she held primarily reference positions at special libraries (both corporate and academic). She has deep subject expertise in transportation and civil engineering, having worked for 14 years at the Northwestern University Transportation Library. 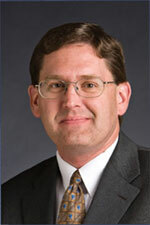 McHenry holds a Bachelor of Arts degree in Biology from Northwestern University and a Master's of Library Science from The University of Chicago. 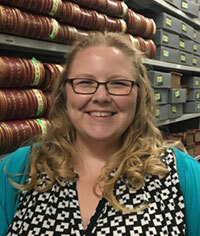 As Senior Reference Archivist, Christina Miller oversees all aspects of access to public records at the Missouri State Archives. She works with Archives staff to establish strategic priorities including the development of digital initiatives and online resources.. Her work involves collaborating with the State Archivist and colleagues to appraise, select, transfer, arrange, describe and preserve state records and also helps evaluate public records to determine their archival value. 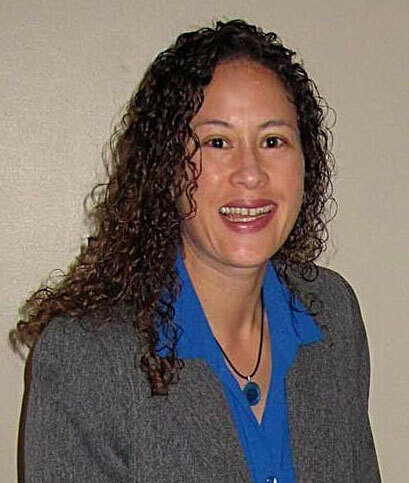 She has provided training for state agencies and various interest groups on electronic records and has served as an information resource for state and local government agencies concerning the retention of electronic records. 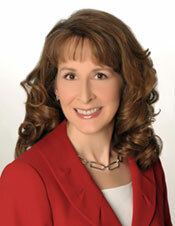 Rochelle Reeves currently serves as the Director of Legal Services for the Missouri Lottery. In addition to experience in private practice at a large law firm, Rochelle has served as a government attorney in Missouri for more than 13 years, including as a Supreme Court judicial clerk, general counsel for the Department of Revenue, a division chief at the Attorney General’s office, and now at the Lottery, which generated more than $1.2 billion in sales each of the last two years. Rochelle enjoys working to ensure Sunshine Law compliance for her clients and helping others understand what that means. In her spare time, Rochelle frequents her local library. Anne Rottmann has been fortunate to work for the Missouri General Assembly and in the historic capitol building for a number of years as the Library Administrator for the Legislative Library. She has learned many things about the legislative process in Missouri and in other states as well and because of this has developed a deep interest in state legislatures and state government. She has a bachelor’s degree in education from Missouri State University (formerly Southwest Missouri State University) and a master’s degree in library science from the University of Missouri – Columbia. Born and raised in Moscow, Russia, Yana earned master’s and doctorate degrees in sociology from Moscow Lomonosov State University. She worked for the public library in San Angelo, Texas, before moving to Missouri in 2014. Prior to joining SHSMO in September 2016, Yana was the digital projects specialist at the Missouri University of Science and Technology in Rolla. Her previous experiences have allowed her to hone her skills as a reference librarian and a reference services coordinator. 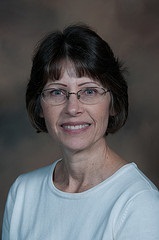 Mary Stansfield joined the Missouri State Archives in 2012. She provides access to Missouri state government records to a wide range of researchers, from genealogists to members of the General Assembly. 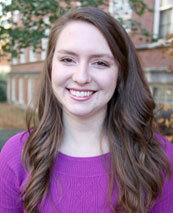 She holds Bachelor’s and Master’s Degrees in History from Missouri State University. 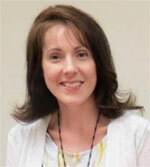 Marie Concannon has worked in the Government Documents Department of MU Libraries for 17 years and is the state's regional coordinator for the Federal Depository Library Program. She is a former Chair of the U.S. Depository Library Council which advises the Director of the U.S. Government Publishing Office and the Superintendent of Documents on matters involving public access to federal information. In 2014 she was given the Bernadine Abbott Hoduski Founders Award by the American Library Association's Government Documents Roundtable. Ms. Concannon is presently part of the Preservation of Electronic Government Information project, a two-year grant-funded endeavor to study at-risk government digital information of long term historical significance. She began her career as a librarian at the State Historical Society of Missouri, where she felt like a kid in a candy shop for 10 years. She is proud to be a lifelong resident of Missouri.